There are some vehicles that just stand the test of time and are coveted by those who know what a good vehicle should be and do. This is why so many opt for a pick up truck when they buy a new vehicle. 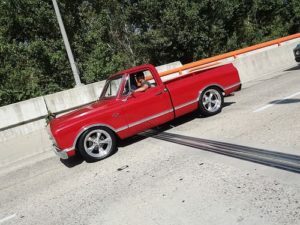 The style of a pick up truck is immediately recognizable, the design allows for rugged usage and the truck itself does everything a pick up truck is known for in terms of being versatile. One thing that some prefer is to have a pick up truck turn heads. One top option many turn to is custom design for their pick up truck, This is the preferred way to enhance a vehicle that comes off the lot looking like many others on the road. You will find that when you go down the path of custom truck design you have far too many options available to you and you need to make some choices. It is actually best to opt for a more simple design can turn just as many heads and still preserve the value of your truck. You may want to go all out and have a really eye catching or overtly flashy design that really attracts attention, but, you may find that over time something that flashy and over the top grows tiresome for you and also impacts the resale value of your pick up truck. This is why when you work with the right custom design firm you will see how a basic, simple design can still give your truck that pop of uniqueness you want without going overboard. The right custom pick up truck design is one that matches your personality. this is why when you work directly with the designer you will quickly find out that a simple design can really compliment and enhance your truck. The end result will be a truck that stands out without having to shout. Those are the designs that truly attract the most attention as they have the right mix of graphics, color and style so that everywhere you go people look and take notice to your pick up.